What if Paganini played lead for a progressive-metal band? What if Heifetz played Carnegie Hall with metal drums and bass? What if we dual-tracked the violin and let it shred over pummeling bass and drums? Wonder no more. “The Middle Of Nowhen” is an instrumental album of intense, heavy songs written and performed by a power trio of drums, bass, and violin. Where guitars usually rule, the violin seriously rocks. This album featured a virtuoso performance from Stanley Chepaitis and a granite-solid back-line of Nathan Santos’ bass and Mike Barnett’s drums. Want to hear where classical music meets metal? This is it. The production is clean and clear, the drums punchy and driving, the bass heavy and steady and the violin playing technical, mixed-genre melody and solos. Ha ha! (I’m a sucker for paronomasic song titles). And indeed they do. Virtuoso violin parts, both rhythm and lead, propel this song. Tense lines, too – with a foot on the gas, but not at all frenetic. This is a great first track for the album. We know what we’re in for, here. And, like it says on the wrapper, no rests to be found. More melodic than the first track, but easily as loud, powerful, and articulated. Is there some 1970s melodic prog sensibility here, perhaps? It’s hard to resist the comparisons to Kansas, but this is much more energetic, intense, and heavy than that. The songs are composed to lead from one statement to the next fairly quickly – no lingering on a repeated phrase or progression. The songs get to the point, and develop the themes and ideas before returning to the original statement, or mood. Very classical compositional forms are at work here – and the songs stay interesting throughout. Hey, medieval! Parallel fifths and pagentry. But if you’re looking for ren-faire background dross, keep looking. This is the road-trip continuing to bring the heavy – if Ye Minstral In The Gallery could shred, this is what he’d sound like before rocking out through the middle of the song. I’m hearing a shreddy Jethro Tull, ELO kind of thing going on here. The first musically contemplative section so far on the album. The violin brings the sound into classical territory immediately, but the group brings it back to a complex ballad within the first minute. By the first third of the song, the mood picks up, and things return to the intensity found on the previous tracks. We’re on a journey now. The violin never loses it’s virtuoso thread, and keeps ahead of the back-line that’s relentlessly steaming forward. There is plenty of melody here, and it’s well balanced with some classi-metal four-string-and-a-bow shredding. Ah, now here’s where Paganini would be proud of his metal descendants. The piece starts mid-flight, and doesn’t relent. This is a showpiece for Stanley Chepaitis. There are hints of Balkan or Hungarian modal elements in the solos. I heard somewhere that all of the whimsicles sold out at Comicon this year, and people had to fall back to cold water and crushed ice. Regardless, the trio here continues the heavy violin-driven sound in one of the more complex, interesting compositions of the album. Complicated rhythms, key changes, and dissonant riffing before speeding into a middle double-time, rock-out \m/ exposition. ⅞ time at last! And some strange chord changes! (To be fair, if there have been any odd-time-signatures so far, I didn’t call them out or notice overtly, having been into and enjoying the music overall). A fine ending to the album, the last piece starts with a distant, lone violin before the pounding bass and drums kick in. The group returns to a complex arrangement and progression mid-song, and keeps iterating over different sections through to the end. Like a caravan through disparate and distant lands, this last piece is an interesting and surprising road-trip. Heavy metal violin? Can’t say that’s a common occurrence these days. In a sea of 7-string copycats and hyper-compressed blast-beats, this album stands very far from the maddening crowd. The trio’s classical training and multi-genre sensibilities come through on the album, from the mid-nineteenth century Romantics to the Twentieth-Century Moderns and of course progressive rock and metal: there’s contemporary classical in here, in a mix with several sub-genres of metal. The result is a metal-classical fusion very much in sync with the spirit of the classical music Romantics of two centuries ago who fused foreign (to them) music with staid, classical motifs and traditions, and whose virtuoso performances thrilled their audiences – and also in sync with modern rock musicians and audiences interested in continued explorations of heavy, intense rock not limited to That Which Has Gone Before™. A lot of credit goes to the violinist here – the violin is a very demanding instrument, and in order to pull off a compelling metal performance (let alone a classical performance!) your chops must be excellent. Stanley does not disappoint – his technique and performance here are top-shelf. I’d love to hear more variety of timbre and tone from the violin: gypsy-sounding one song, and perhaps JL Ponty-like the next. Because the instrument is the lead through all songs, the band has a lot of freedom to explore different textures and tones. But this is an editorial nit-pick — an option, and not a detriment, to the work as a whole. In the end, they pull off a thorough and successful fusion of classical and metal, borrowing ideas from Sarasate, Paganini, and the incredible virtuosity of Heifetz and placing them squarely in the context of progressive metal. Listening closely, you can hear a range of ideas from a Bohemian zegeunerlied to the style of Steve Vai. What an excellent review. Thanks so much, Jason. From the description it sounds almost like Scandinavian metal band Apocalyptica, except they have three classically trained cellists and a drummer. The cello gives a distinctly heavier flare. 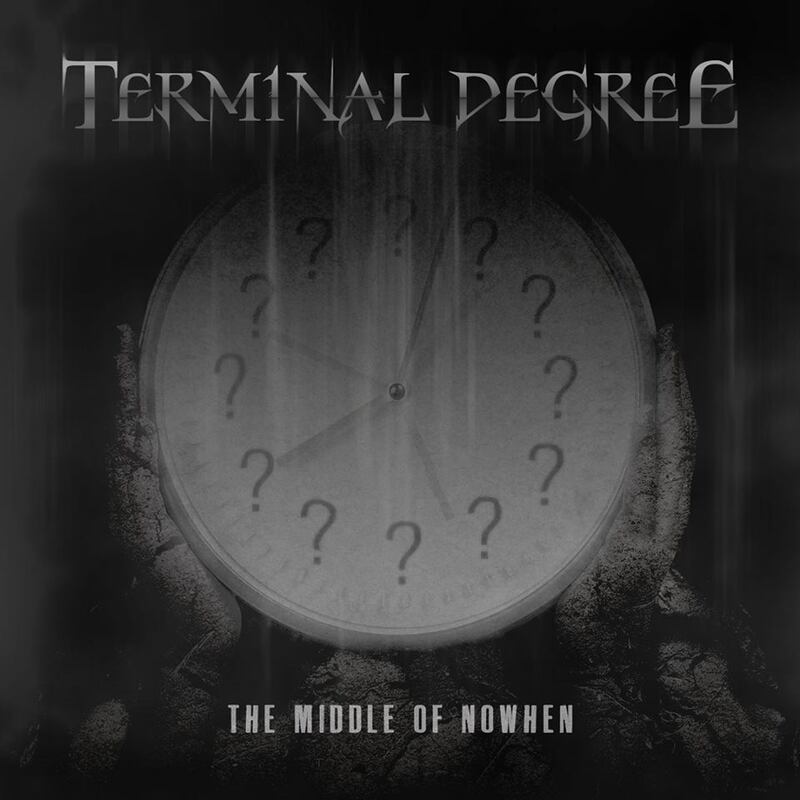 Will definitely have to give Terminal Degree a listen. Thanks, Jason.